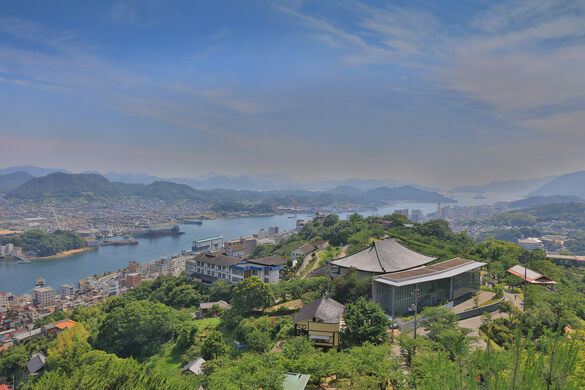 About 45 minutes from Hiroshima city is the quaint port town of Onomichi, known for its beautiful temples and sloping seaside hills. 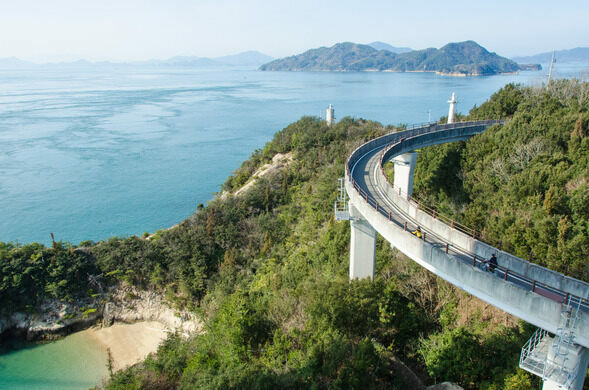 It’s also the starting point of a unique attraction, the Shimanami Kaido bikeway, a spectacular 43-mile route that island-hops its way across the Seto Inland Sea. 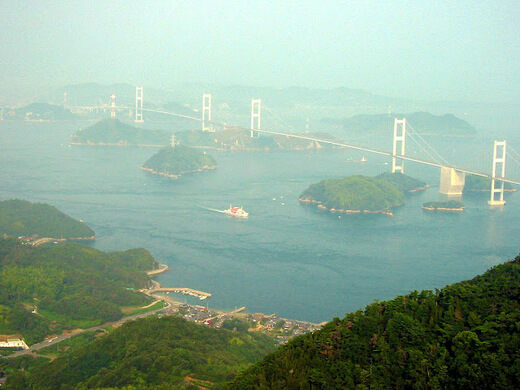 Shimanami Kaido, which translates to the “Island-Wave-Sea,” is wonderfully and aptly named. 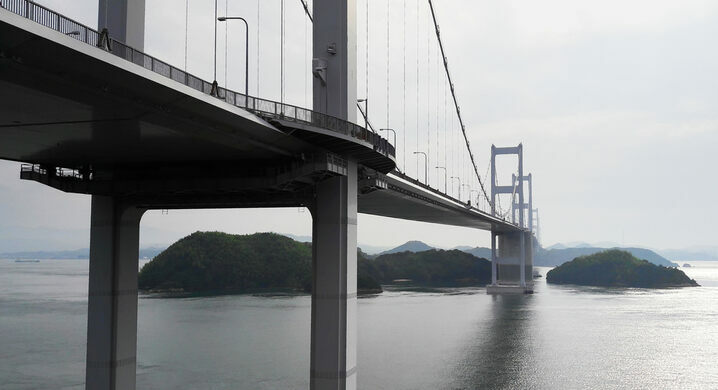 It connects Japan’s main island, Honshu, with the island of Shikoku, passing through six islands along the way connected by one of the world’s longest series of suspension bridges. 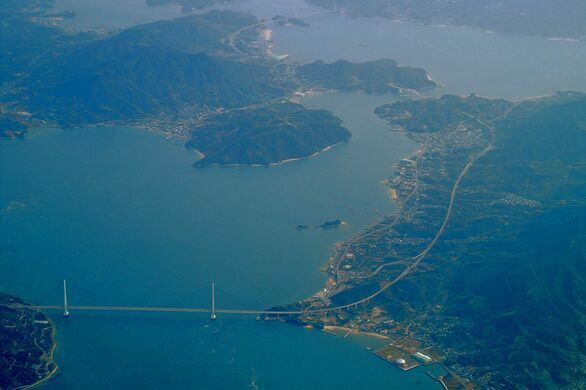 While it’s actually an expressway (also called Nishiseto Expressway), it’s unique for being the only land route between Honshu and Shikoku that can be traversed on foot or by bicycle. 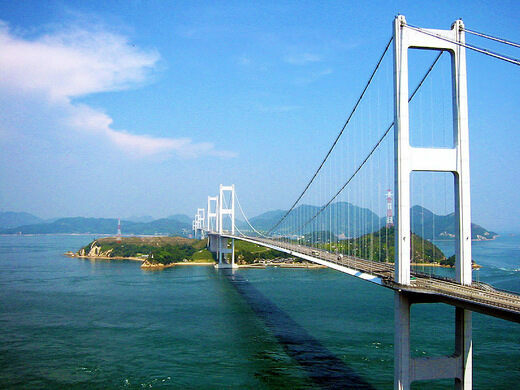 Parts of the route are spectacularly scenic, crossing long beautiful bridges over bright blue water and lush greenery. Other parts pass through small towns with industrial and commercial areas. 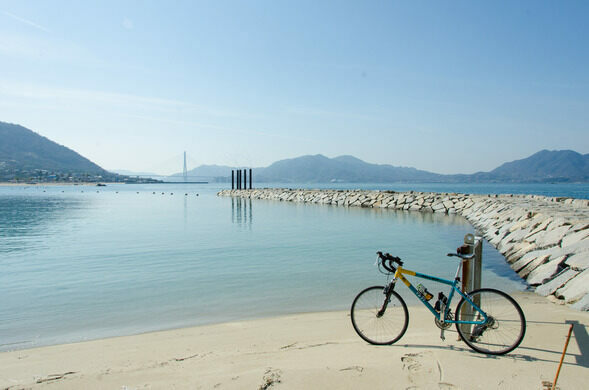 The entire ride can be done in a day for experienced cyclists. 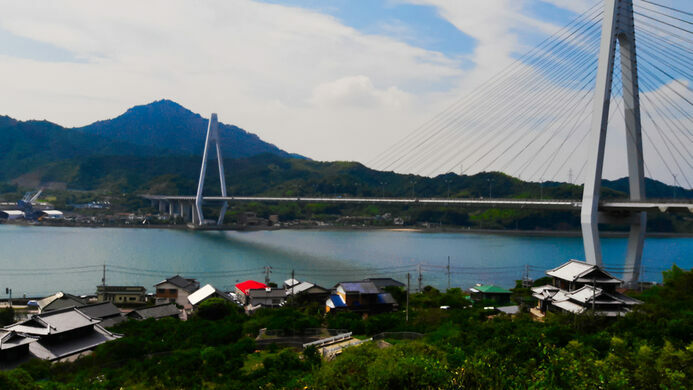 Most people start in Onomichi and head south to the town of Imabari on Shikoku island, where you can take a bus or ferry back. 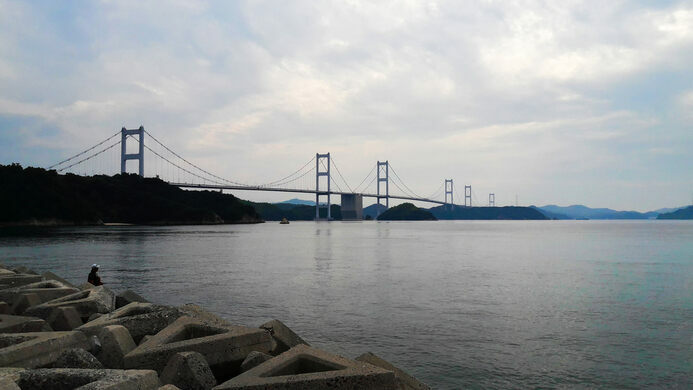 The route also passes by plenty of attractions like museums, temples, castles, cherry blossoms, and campgrounds that are well worth visiting along the way. 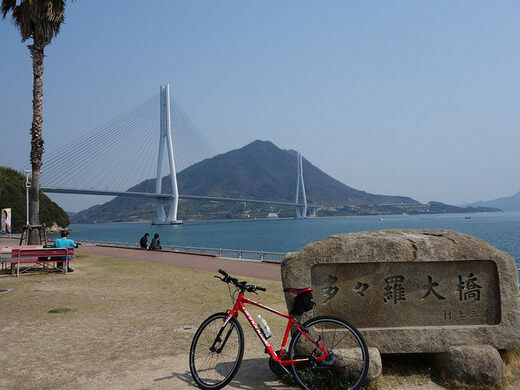 The above coordinates are for the cycling-themed Hotel Cycle in the Onomichi U2 building, a common starting point for biking the Shimanami Kaido. There are numerous bike rentals along the route; it's strongly recommended to reserve a bike in advance. 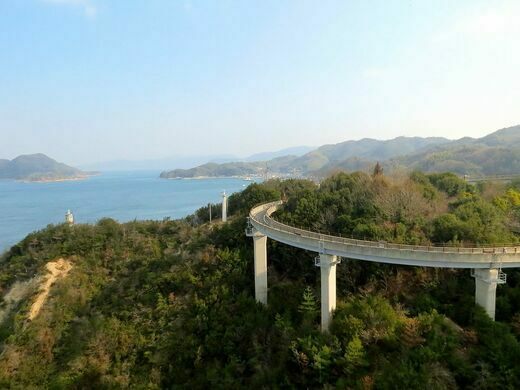 Beware that parts of the route can be quite hilly and challenging.